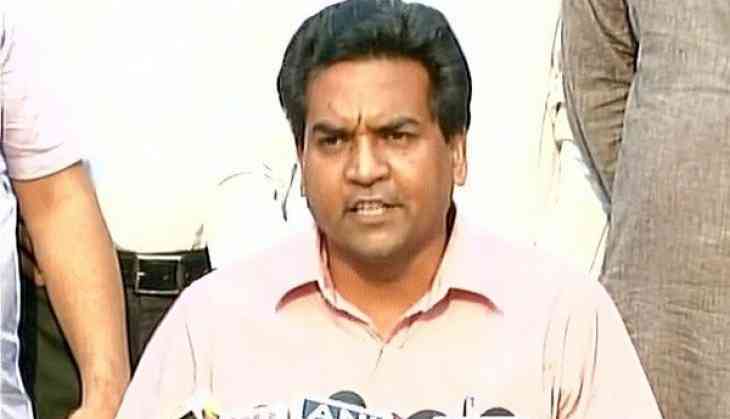 The Delhi Assembly on 31 may witnessed high drama when sacked Aam Aadmi Party (AAP) leader Kapil Mishra was attacked by AAP MLAs and others, after which the speaker ordered him to be marshalled out of the house. Things turned ugly in the session after Mishra was swarmed by AAP MLA's who made attempts to strangle him. After coming out of the Assembly, a livid Mishra dared Delhi Chief Minister Arvind Kejriwal and Health Minister Satyender Jain of sending as many goons as they can after him, but he would not be deterred. "You (Kejriwal and Satyender Jain) have been exposed. All your hawala interactions are with me. Kejriwal's relatives are under the scanner now. Jain's frauds, Rs. 300 crore medicines scam is all exposed now. I will expose them," said Mishra. Speaking in detail about the entire ruckus, he said that he had requested the Speaker to let him speak in the Assembly for five minutes. When this did not happen, he urged the speaker to arrange for special session at the Ramleea Maidan to enable him to expose Kejriwal and Jain. "I could not even finish my statement, when I was attacked by a group of MLAs. They punched me on my chest. Some even kicked me. I have also sustained injuries on my hand," Mishra said. Ever since he was removed from the post of water minister and his subsequent ouster from the party, Kapil Mishra has sought vengeance by swearing to expose the alleged misdeeds and corruption of Kejriwal and Satyender Jain.